I can't believe it's been this long, but back in January 2013(!) 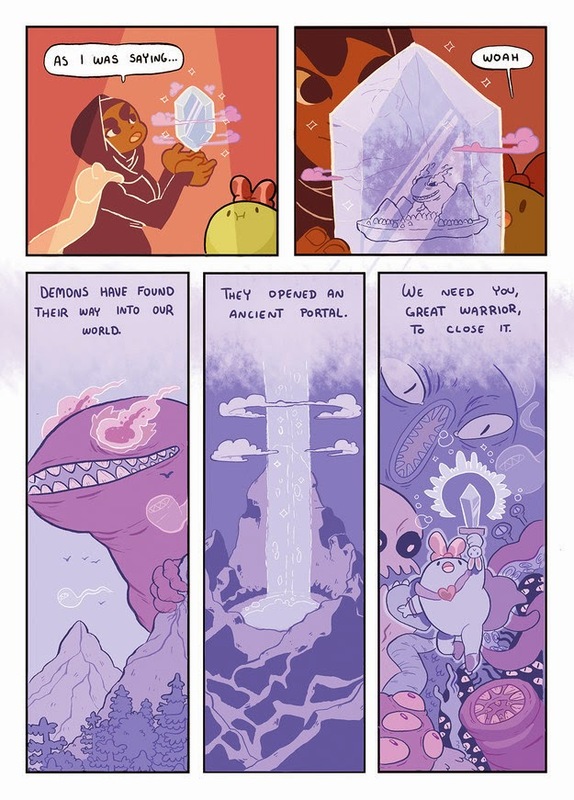 I wrote about the awesomeness that is Madeleine Flores' web-comic, Help Us, Great Warrior! 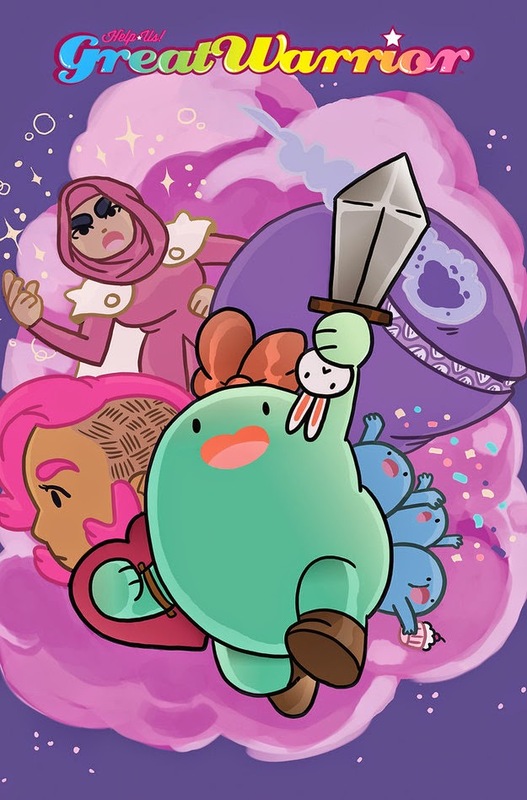 Featuring a potato/bean/blob-shaped central character, the Great Warrior herself, who travels strange lands in need of help, embarking on perilous quests, fighting ancient evils, and keeping herself in great shoes, food and bows whilst she's at it. Some days she finds it hard to get out of bed, so she stays in. Cute and funny without being saccharine, it quickly gained popularity and a large following on Tumblr and beyond, but over the past year we haven't seen as much of Great Warrior, and that's because Flores has been busy working writing for Bee and Puppycat and being employed by Nickelodeon, Cartoon Network for work on various shows, and is now at Dreamworks. 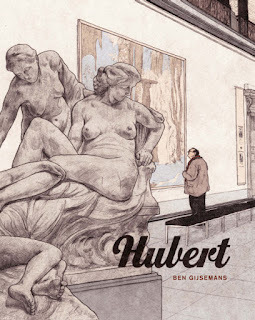 In between, she continued creating comics online, as well as producing a book with Retrofit. She's a hugely talented artist and it's great to see her rise, but I'm really pleased that she'll be returning to Great Warrior in print next year with Boom!, with an 8 issue mini-series, the first of which will release on February 11th. 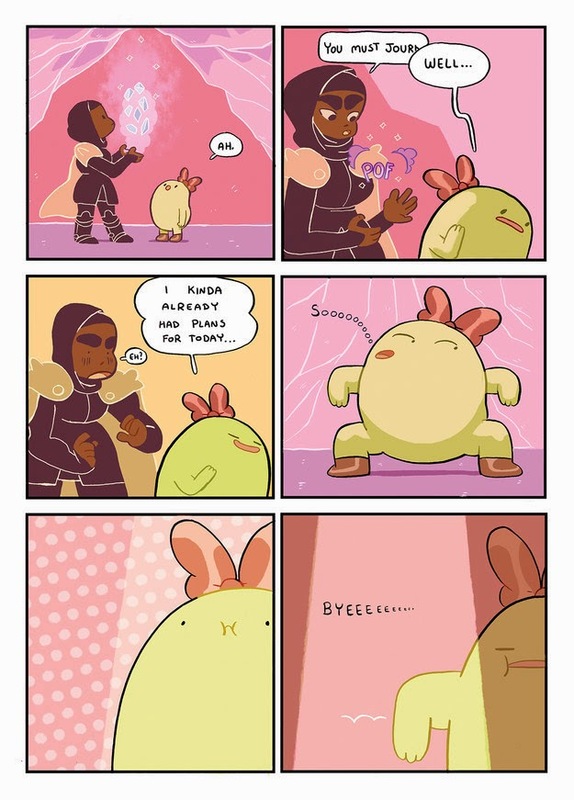 I know some of you will be thinking ' oh, here's another cutesy Boom comic in the style of Adventure Time,' and while I can see where you're coming from, I'm afraid you'd be wrong. I've been a fan of Flores since Blank Slate Books published her incredibly good A Girl and A Gorilla, which was a really nifty exploration of the creative conscious, and she continues to produce super work, and Great Warrior is such a fun, affirming comic, and very child-friendly. Another one to mark on next year's list.